Bell & Ross co-founder and CEO Carlos A. Rosillo with The Rake founder Wei Koh and watch and tennis writer Miguel Seabra. 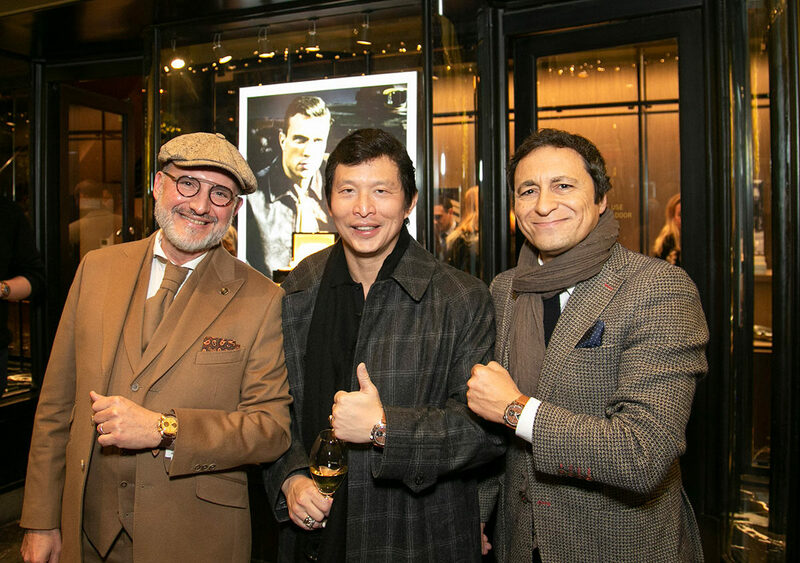 Last Friday saw the official launch soiree of The Rake and Revolution's exclusive collaboration with watchmaker Bell & Ross, culminating in two iconic iterations of the marque's iconic Bellytanker timepiece. 'El Mirage' and 'Dusty' took pride of place in the window display of Bell & Ross's charming boutique in London's Burlington Arcade. Present at the celebration were the two men instrumental in catalysing the two watches into existence: The Rake founder Wei Koh and Bell & Ross co-founder and CEO, Carlos A. Rosillo, the latter of whom felt compelled to admit, albeit with a touch of frustration, that despite his brand's great history in designing stunning watches, it took Mr Koh to design his favourite iterations of the Bellytanker, both of which are available at TheRake.com.